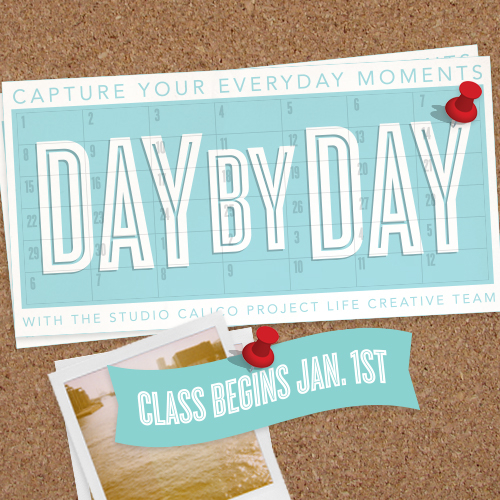 Day by Day is the first class of the year at Studio Calico. 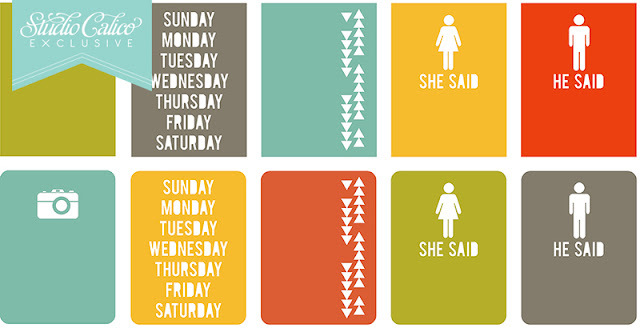 The class is all about documenting the everyday with Project Life. The class is $29 and can be purchased here until December 31. 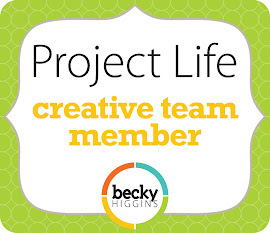 The Project Life Creative Team will be sharing our pages + our process throughout the month. 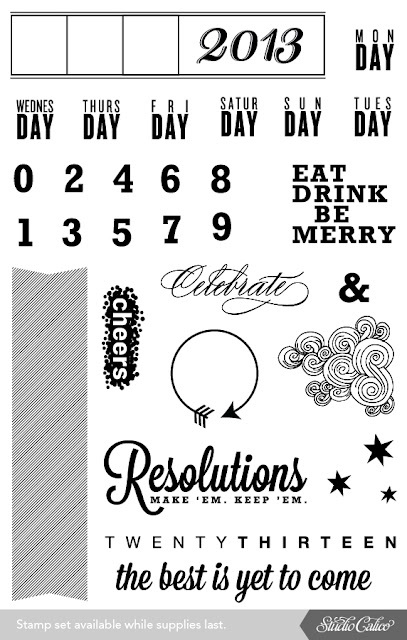 Whether you are new to Project Life, a seasoned pro, or tried it once and it didn't work but you want to give it another shot in 2013 - this class is sure to offer something to everyone. 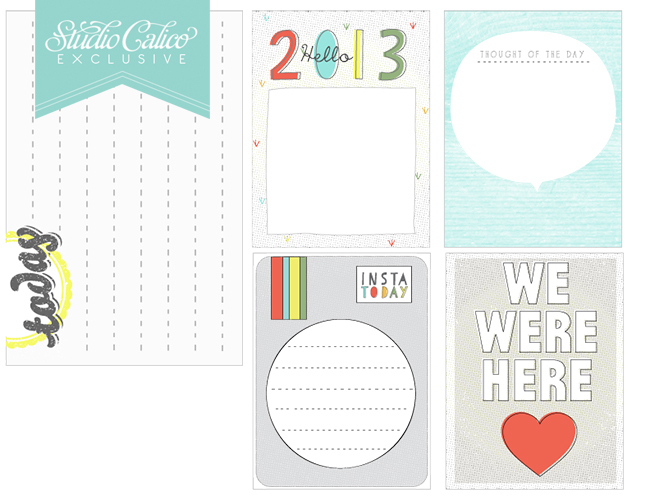 With the purchase of this class, you will receive this 4x6 clear stamp set while supplies last. 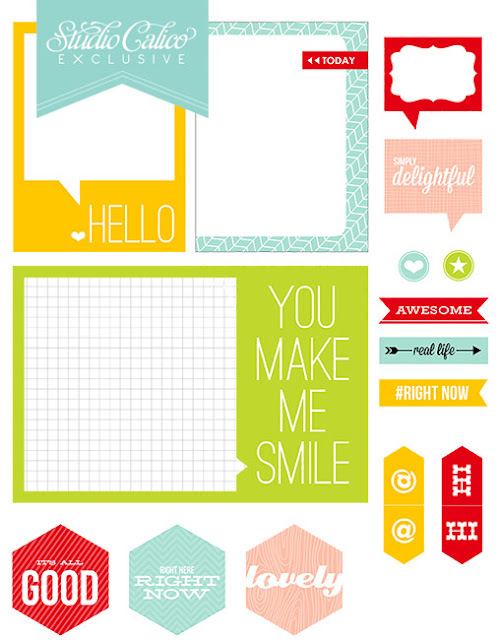 As part of the class, all students will have access to digital stamp brushes, printables and Silhouette files that were made just for this class. Here is a glimpse at the syllabus for the month. As well as sharing a brand new layout and my weekly process, I'll be sharing a video about my Project Life Evolution through the past three years. 5 new PL spreads from the Studio Calico Project Life Creative Team members along with their thoughts and processes on putting a week together. These PDFs will contain new PL spreads from each of our members, as well as 5-7 in process photos and a description of how they work on a week. 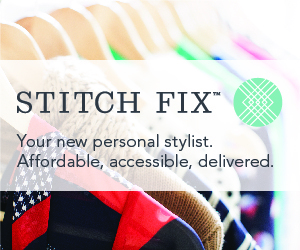 Our Creative Team members will also be sharing their top tips for Project Life. Sound like fun? Don't miss your chance to join in - registration ends on December 31st. It's going to be a month packed full of inspiration and fun! 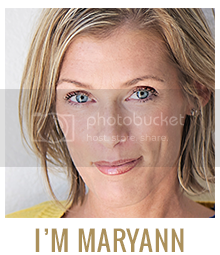 I hope to see you in class!